It can sometimes be confusing to decide whether to purchase floors made from laminate or ones made from vinyl. The two are somewhat similar looking, and both are frequently advertised by manufacturers. In addition to these, the two materials are pocket-friendly as well as durable. However, these two materials could not be more different once you delve deeper into specific aspects of them. Let’s take a look at where you should consider installing these two types of floors and their differences. Laminate floors are usually made from high-density fibreboard. A layer of a realistic-looking photographic ‘wood’ is then added. The entire thing is then coated and sealed into a durable, scratch-proof surface. Vinyl, on the other hand, is made entirely from plastic. Since laminate floors are made out of wood, they do not offer a lot of water-resistance, especially if the planks are not properly locked together. So it would not be a good idea to install laminate floors in bathrooms. Vinyl floors, however, are designed to be water-resistant. You could keep vinyl floors submerged in water for days without facing any adverse effects. As discussed before, vinyl floors are ideally suited for installation in bathrooms because of their moisture-resistance. It is a good idea because of the similarities in costs of floors made of vinyl and laminate. The ease of installation is another key factor, both laminate and vinyl flooring in Croydon are very easy to put together using a click-join system which interlocks the planks together. Many consider laminate floors to offer better comfort than vinyl floors. Laminate floors range between 6 and 12 millimetres thick while vinyl floors are 1.5-5 millimetres. 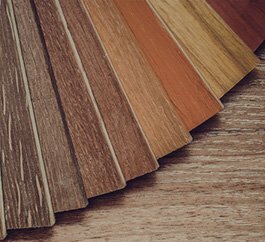 By their nature, laminates will always be thicker than vinyl because of the materials used to manufacture them. Commonly, laminate floors are considered to be aesthetically more pleasing than vinyl floors. This becomes a point of consideration when you take into account the resale value of your house. Vinyl floors installed in rooms other than the bathroom and kitchen could be judged by potential buyers. This has, however, been greatly reduced since the introduction of luxury vinyl floors in the market. Some look like incredibly realistic wood floors! Vinyl floors at one time had earned a bad name for being one of the least eco-friendly flooring choices. But new advancements in the field have ensured that vinyl floors are among the top choices among environmental aficionados. 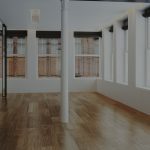 Laminate flooring in Croydon and elsewhere, on the other hand, has declined in popularity somewhat, because of not being eco-friendly, being made from recycled wood content. As you can see, although they may appear similar on the surface, there is more than meets the eye. Do your research and choose wisely which flooring you want to install in your home.